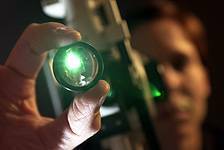 You might be going to a regularly-scheduled eye exam at our Vision Center in Blaine, MN. You may be following a recommendation to see an eye doctor after a vision screening at a local clinic or wellness center. Or your next eye doctor visit could be a response to vision problems or eye discomfort. For regularly scheduled eye exams, expect to talk about any changes in your medical history since the last time you saw your eye doctor. And if this is your first time in our practice, you’ll be asked to provide a more complete medical history, including a list of medications you’re currently taking, and any vision problems your parents may have experienced. In general, a routine eye exam in Blaine will last less than an hour depending upon the number of tests you have, and may be partially or completely covered by many vision insurance plans. Most importantly, remember that eye doctors—and everyone within the eyecare practice—are there to help you see your best and feel your best!